Maureen Harmonay's Animal Communication Blog: Send A Friend Referral Program is Launched! Send A Friend Referral Program is Launched! 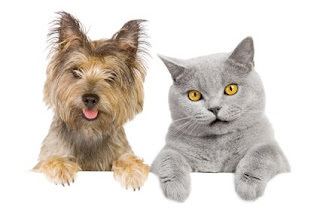 I'm pleased to announce the launch of my new "Send A Friend" referral program, to thank current Animal Translations clients who send their friends and families to me for animal telepathy services. The program rewards existing clients by giving them a virtual $15 discount voucher, good toward their next consultation, for each referral of a new client who purchases an animal communication consultation with me. My practice has been built on my relationships with satisfied clients, and I would like to show my sincere appreciation for their ongoing support. I believe that animal communication services should be available at a reasonable cost to anyone who wants and needs them, and I hope that my "Send A Friend" program will enable my clients to use my services more often.